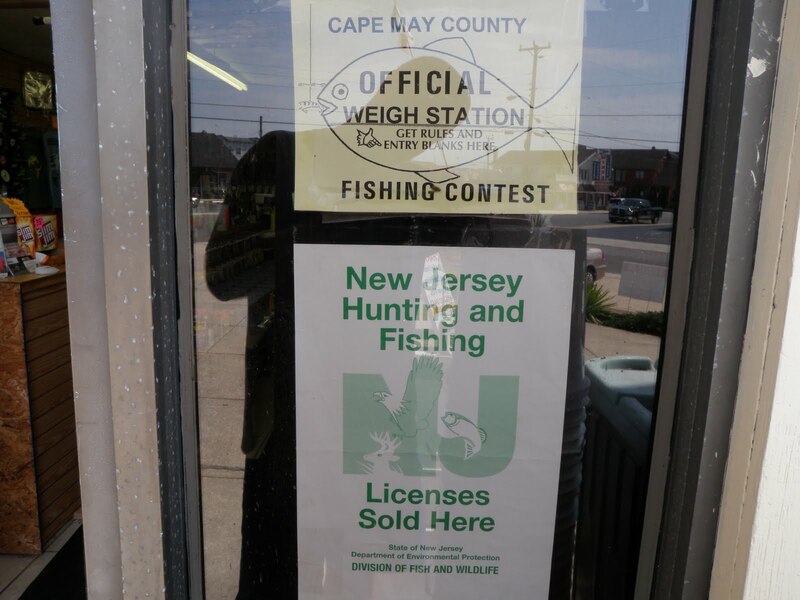 We are proud to announce that Sea Isle Bait and Tackle is now selling all New Jersey licenses (credit cards accepted). 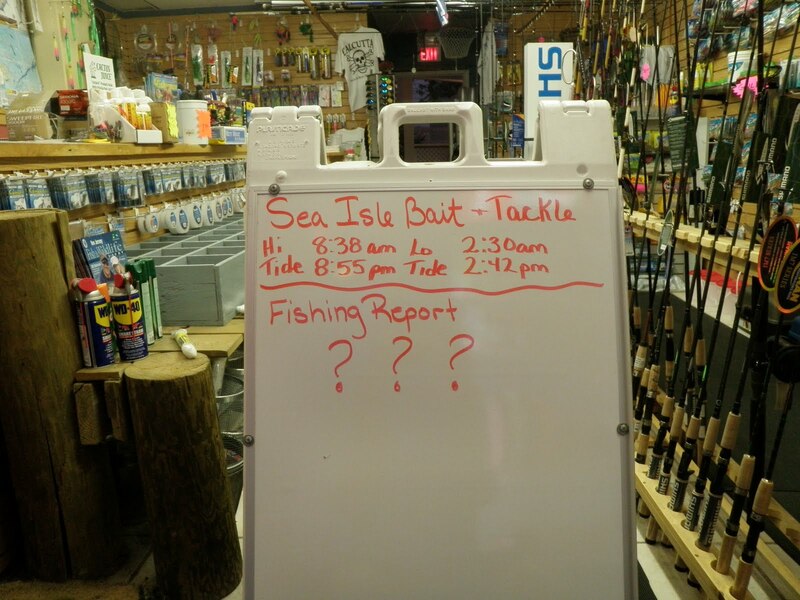 Whether you are scratching for clams, chasing that monster large mouth or stalking the buck of a life time we can help you out. Hunting inventory will start to arrive at the end of September. If we don’t have what you are looking for remember our motto WE SPECIALIZE IN SPECIAL ORDERS! T-Shirts have FINALY arrived ! ! ! Sea Isle Bait and Tackle T-Shirts have FINALY arrived. 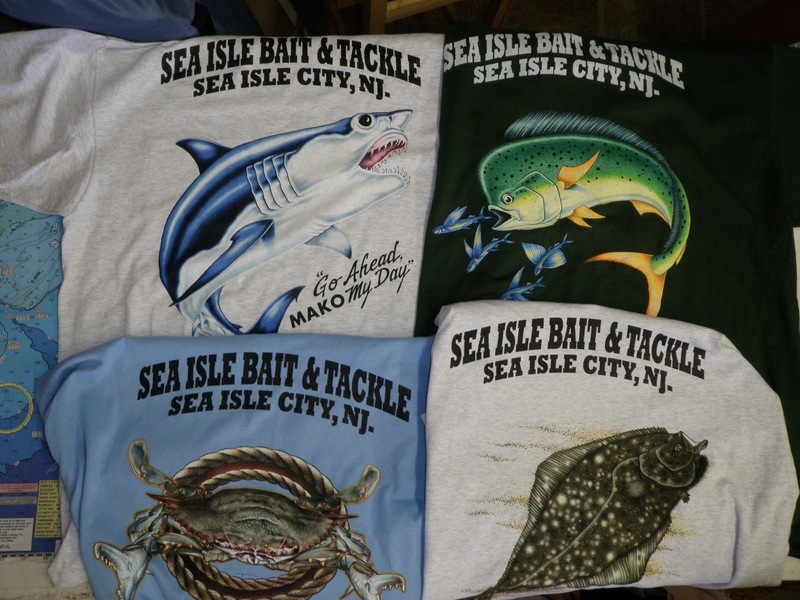 We have shark, crab, mahi mahi, flounder and several other shirts in assorted colors and sizes. All shirts are $19.99 and it will be first come first serve. We only got about 100 in so hurry and get yours bee for they are GONE !!!!!!!!!! Sea Isle Bait and Tackle did not receive any damage from hurricane / tropical storm Irene. Its Monday and we are back open Monday thru Thursday 5 AM-7PM Friday and Saturday 5AM-9PM and Sunday 5AM-6PM. But we have NO reports to give you. 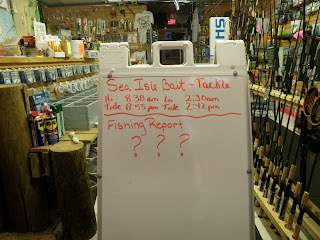 It is very nice with little wind all week so get out there and go fishing and let us know what is biting give us a call (609) 263-6540 of email seaislebaitandtackle@gmail.com or leave us a message on face book and let us know what is happening out there. As soon as I have something I will report it to you.